Razor Qt is a lightweight desktop environment - think of it as LXDE, but using Qt. It doesn't come with its own window manager and its developers recommend using it with Openbox, but it should work with any window manager like Kwin, Metacity, etc. The greeter is not set when you install Razor Qt. To use it, you need to edit "/etc/lightdm/lightdm.conf" and set "greeter-session=lightdm-razor-greeter", then save the file and restart the computer. 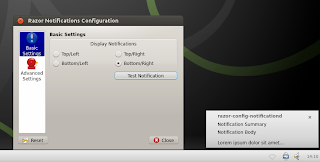 Once installed, log out and select "Razor Desktop" from the login screen. 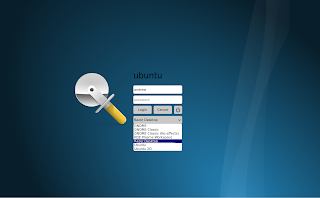 For other Linux distributions, see the Razor Qt installation page. For more info, see our initial Razor Qt post.